The perfect gift box for making gourmet s'mores at home! Our soft, fluffy, all-natural marshmallows, with 2 kinds of decadent chocolate, and Plush Puffs house-made graham crackers, and a Sterno S'mores Maker Jr. 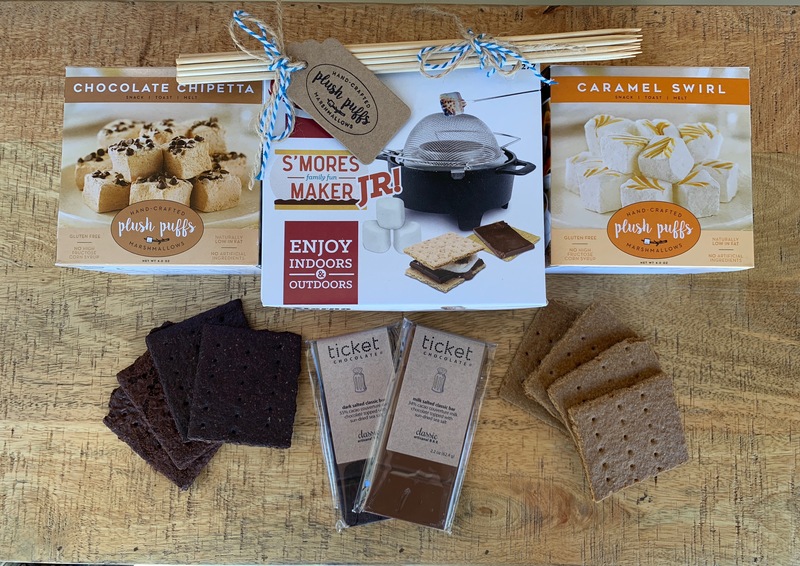 The S'mores Maker Jr. lets you easily have s'mores indoors, even on the coldest night, while our all-natural marshmallows and make them a perfect gift for foodies! 38 points will be rewarded to you when you buy this product.